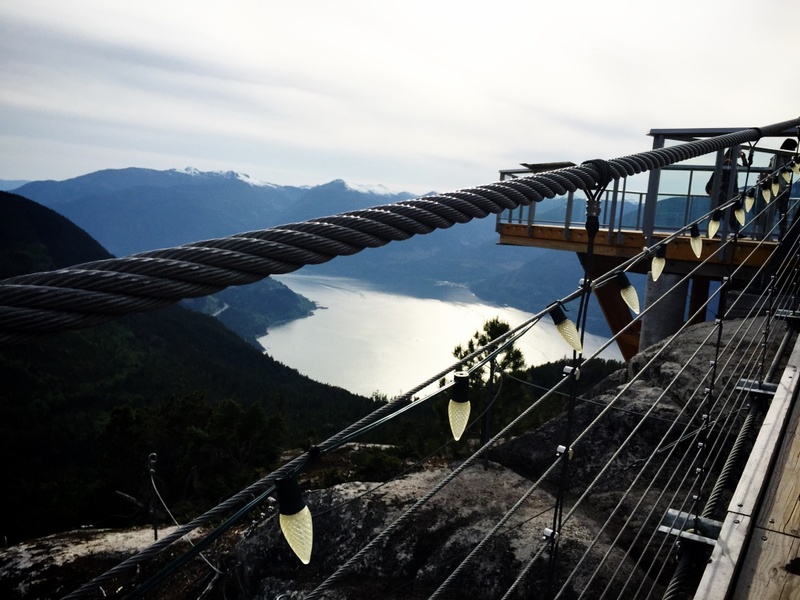 Adventure by nature: the Sea to Sky Gondola and hike. 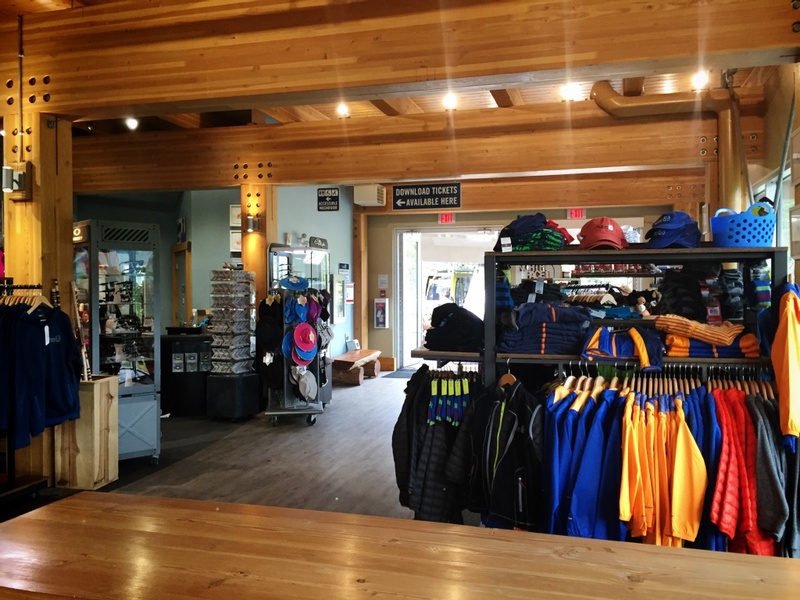 It officially opened up in Squamish last summer and I finally got around to checking it out by celebrating Mother’s Day here! 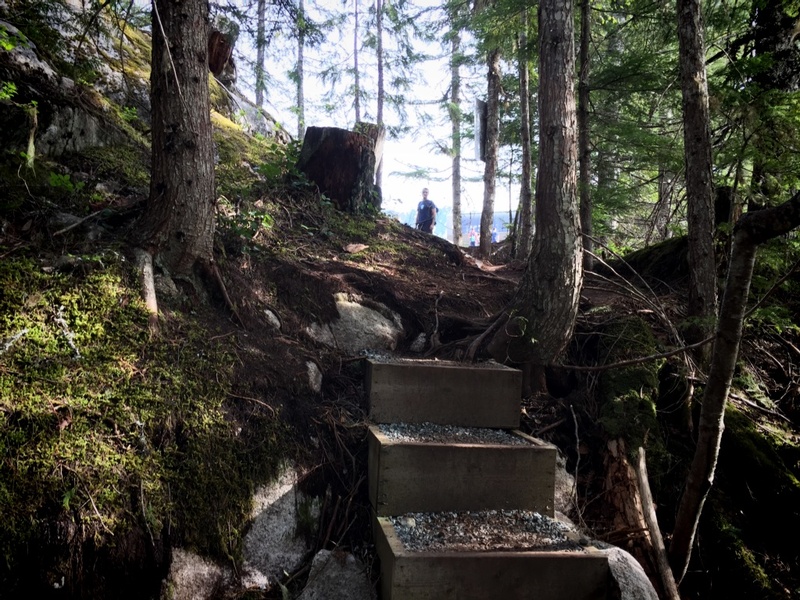 This new British Columbia attraction caused a lot of concern when locals thought it would interfere with the existing Chief hike. 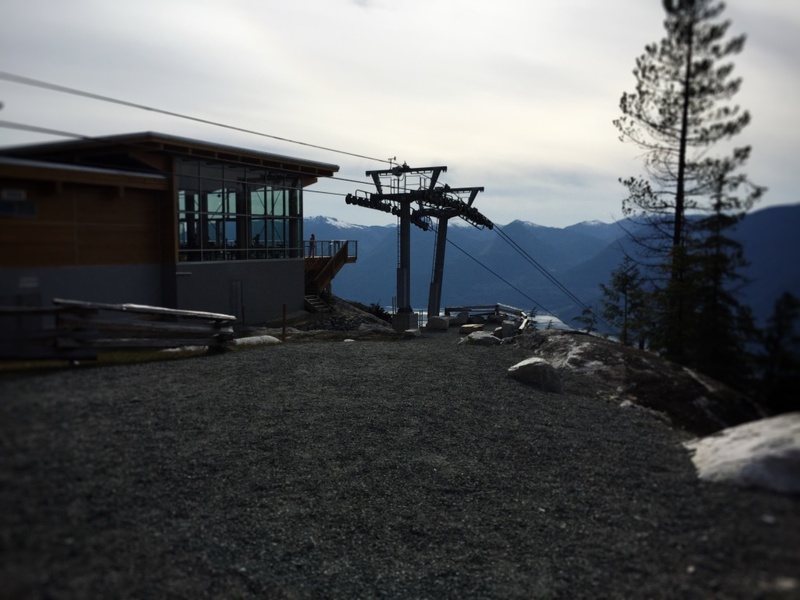 Even last year, I thought this gondola was being built to transport people to the top of the Chief! 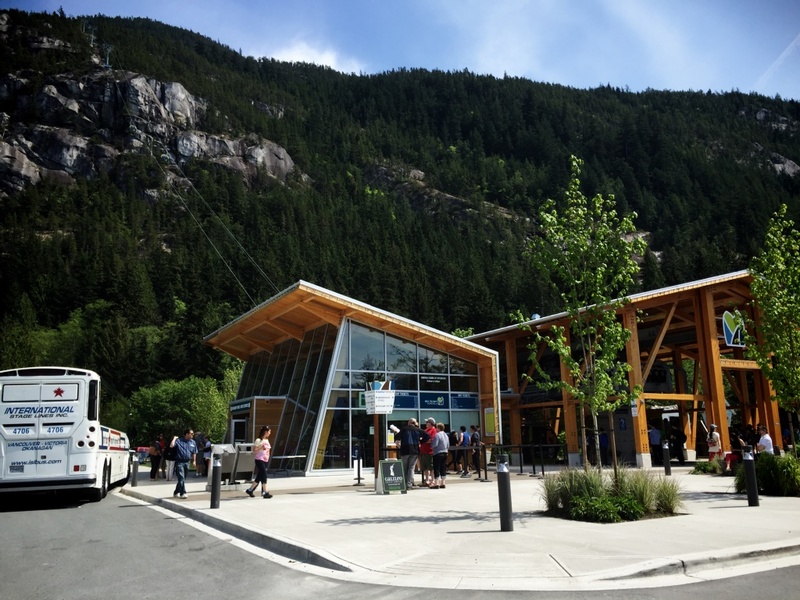 In actuality, the gondola is built in between the well known landmarks the Stawamus Chief and Shannon Falls Provincial Park, and its construction has opened up a whole new alpine area to explore and gives access to beautiful mountain scenery for people like my mom who wouldn’t necessarily be physically able to hike up! 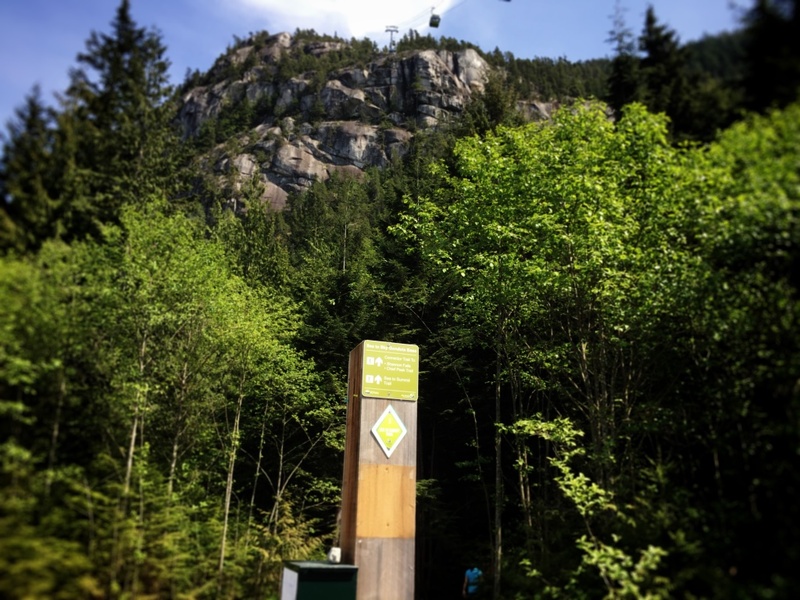 The Sea to Sky Gondola and Sea to Summit Hiking Trail has already been dubbed the “Grouse Grind” of Squamish, because much like Grouse Mountain in Vancouver, cardio enthusiasts can hike up this steep trail and have the luxury of taking a gondola down. 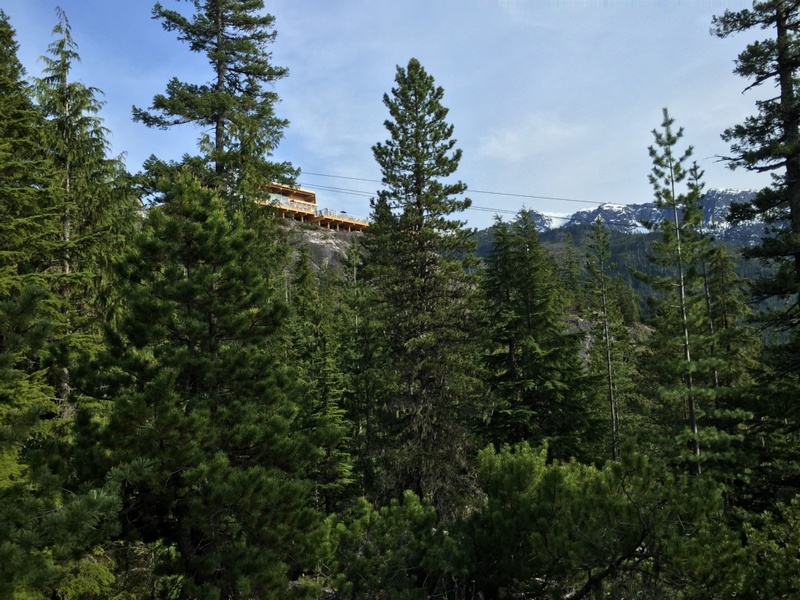 I love hiking and was excited that I could send my mom up on the gondola and give her the opportunity to explore the trails (there are 8 associated trails) and enjoy the stunning views at the top, while us kids made the trek up the hill. Level of difficulty: Intermediate/Advanced. 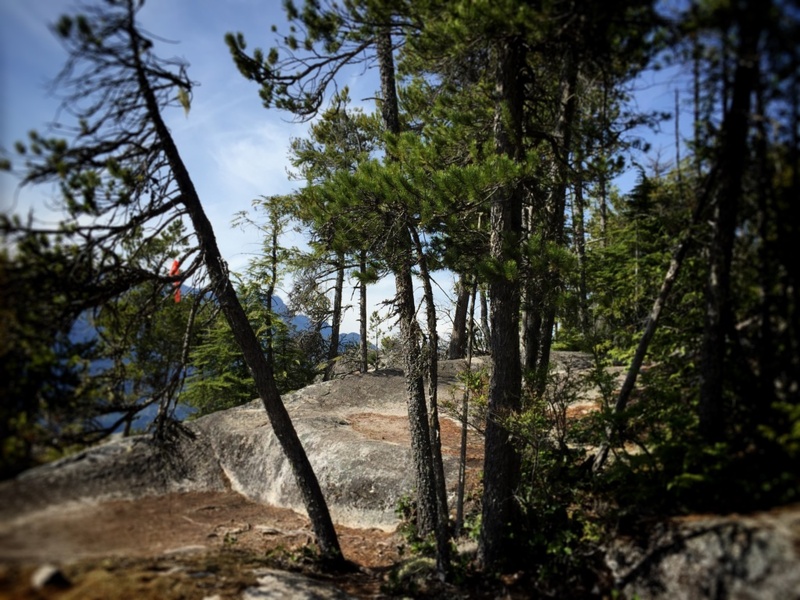 Some steep & challenging sections. Requires fixed rope lines to assist you. Not recommended for downhill travel. 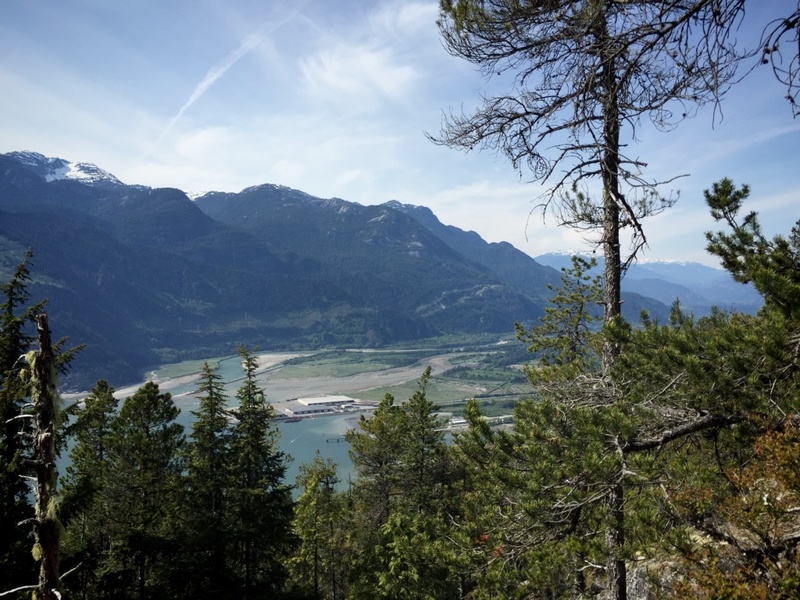 The drive from Vancouver to Squamish is known as the Sea to Sky highway and has beautiful mountain and ocean views the whole way. 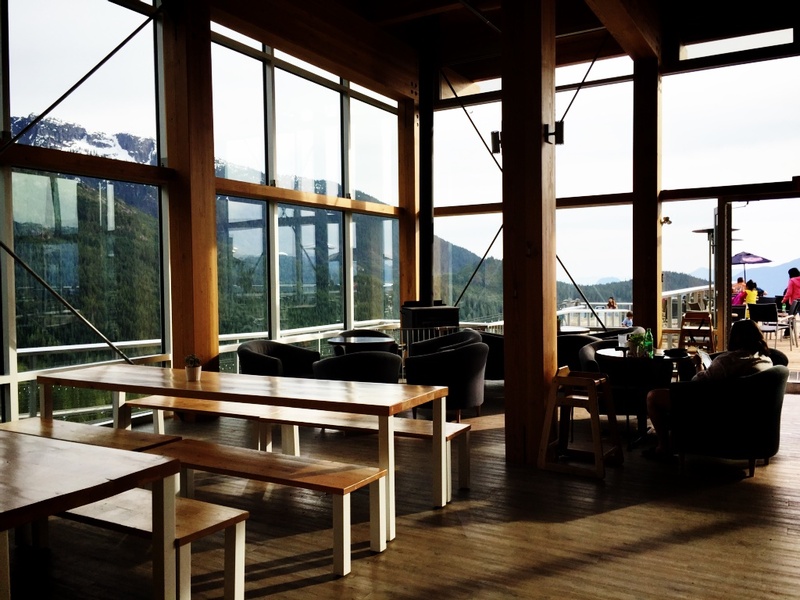 I was lucky to have been here just two weeks ago when I went snowboarding in Whistler. 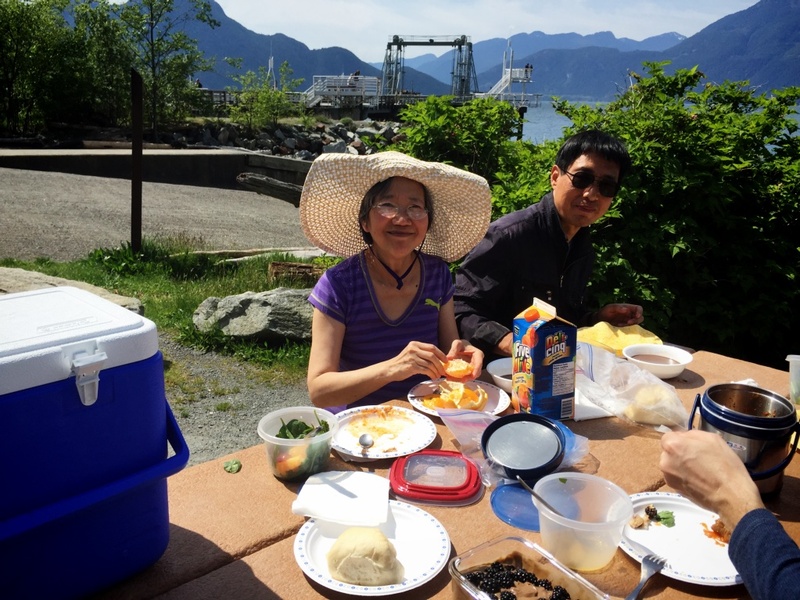 There are many spots to stop for a break and we chose to break for a Mother’s Day lunch at Porteau Cove. 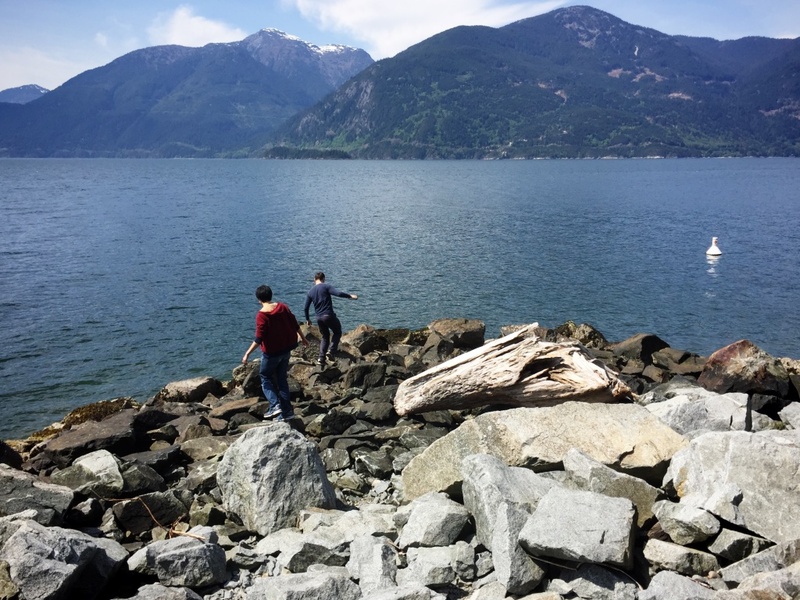 This spot is also very popular for scuba diving! I think that’s because there was a shipwreck nearby. Classic mom – wanting to make us lunch rather than let us treat her for lunch (we took her for dinner instead 😉 ! 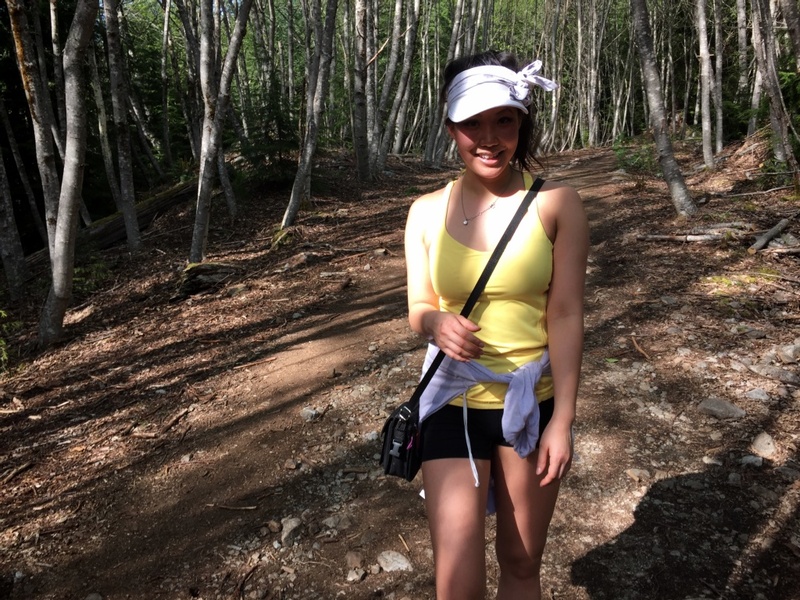 She’s really taken to making vegetarian and vegan snacks and made all kinds of healthy, nutrient-dense foods for us so that we’d be ready to go on our hike. (I added some raw recipes earlier on my blog, here). 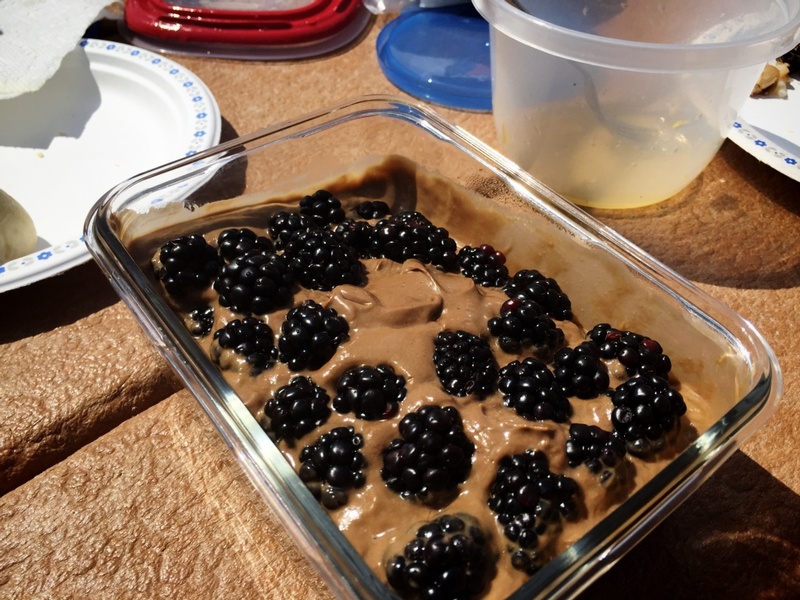 Her latest raw dessert is a chocolate avocado pudding. This was sweetened with dates and thickened with cashews. 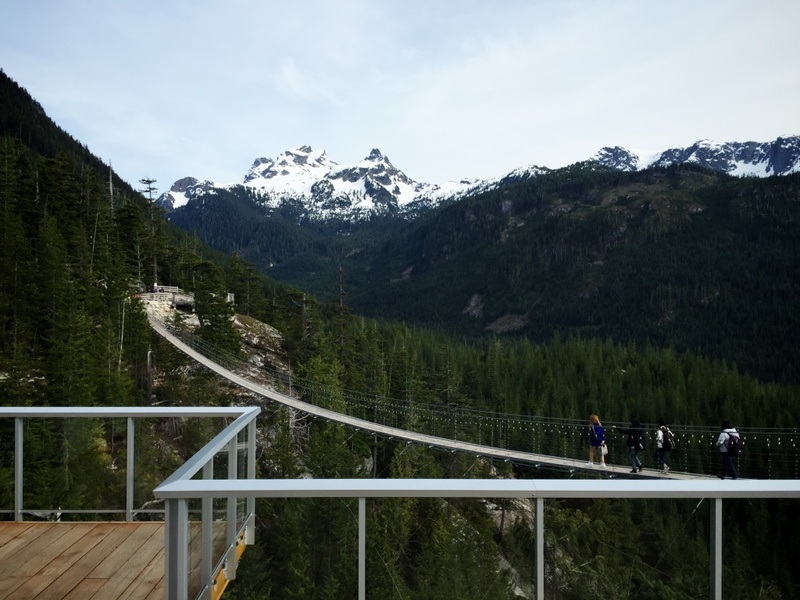 It’s called Beautiful British Columbia for a reason! 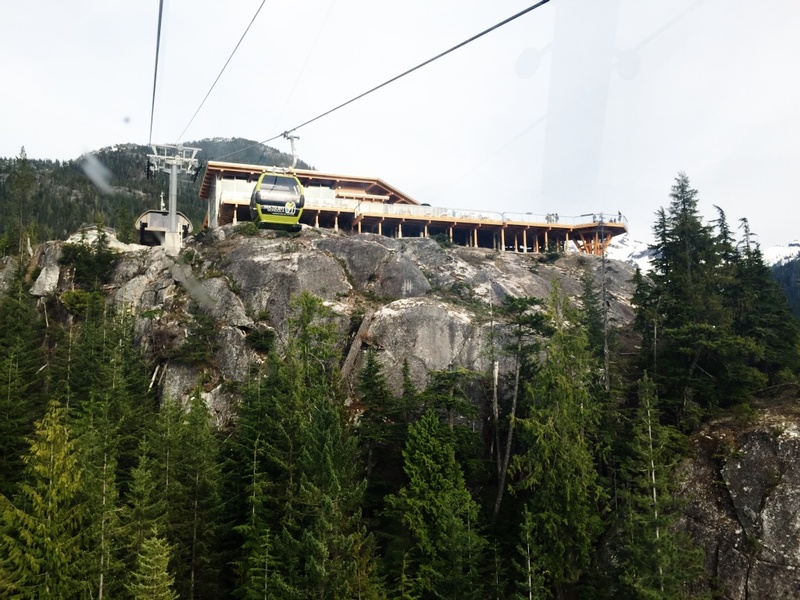 After my brother and Eric finished jumping around on rocks, we made our way to the base of the Sea to Sky Gondola! I saw a sign that said max. parking was 3 hours but the parking attendant said that for this particular day, it was OK to stay longer, once I explained that I would be hiking but that my mom would be taking the gondola. 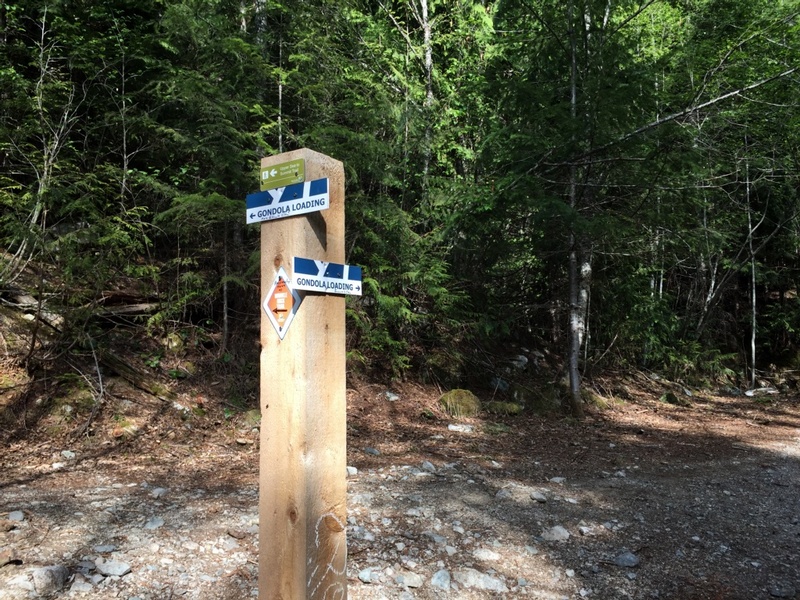 The beginning of the trail is clearly marked a short ways from the gondola. There is even a helpful sign to tell you the last gondola downloading time! Final ride would be at 7:00 pm. 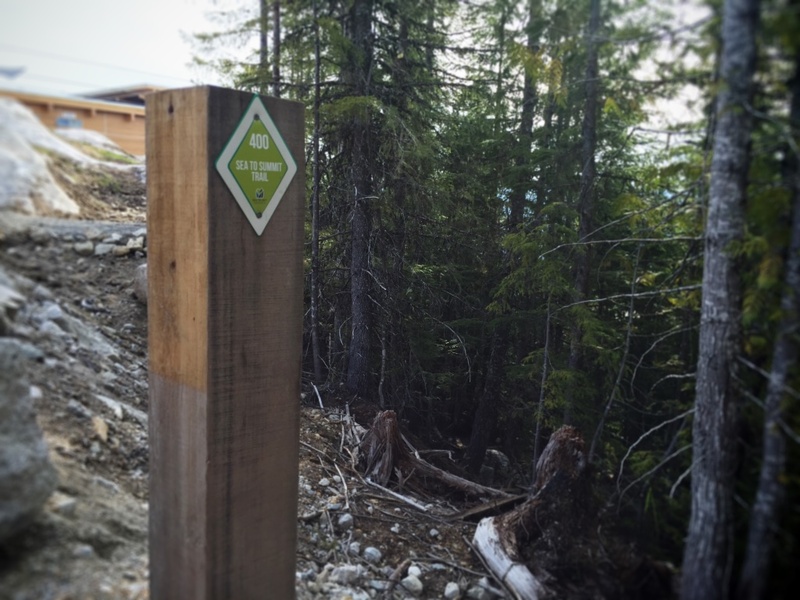 Little green diamonds mark the trail and they’re even numbered 1-400 to inform you of your progress. 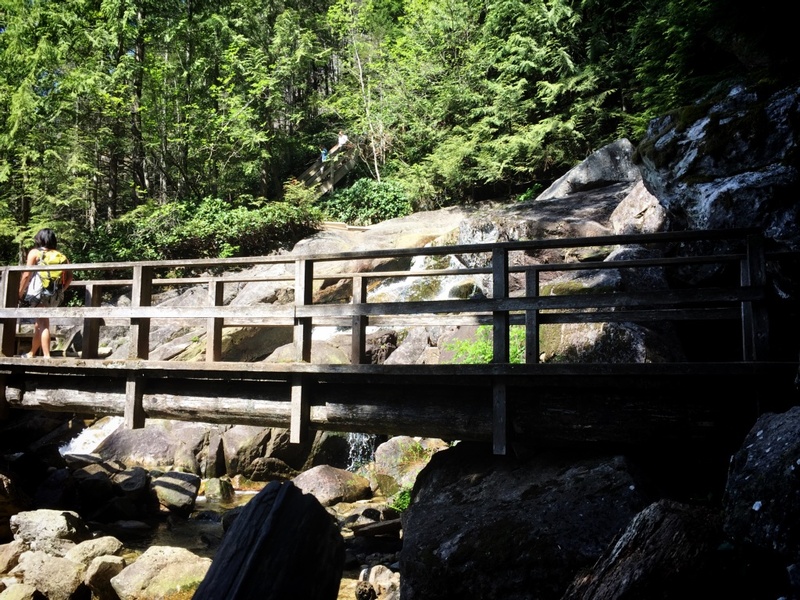 In the first few minutes, you cross lower Shannon Falls. 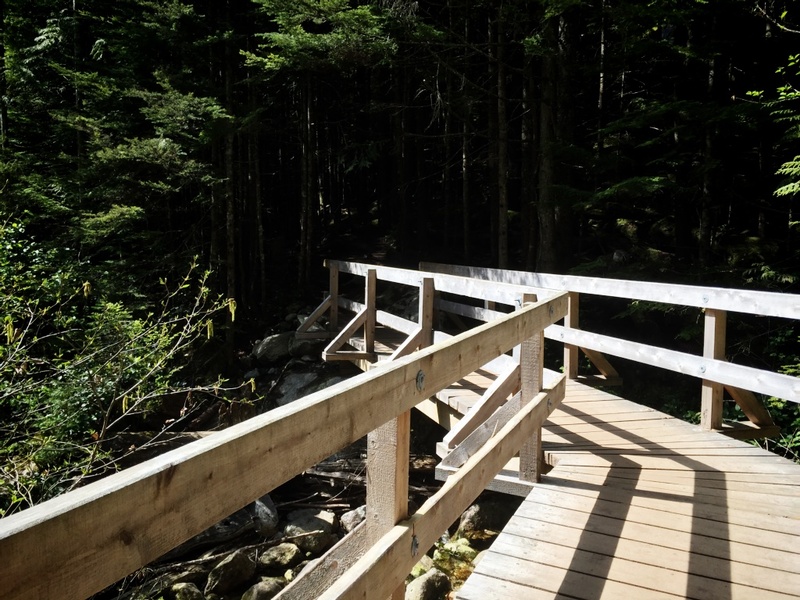 But by the time you cross this bridge, the crowds have thinned dramatically. 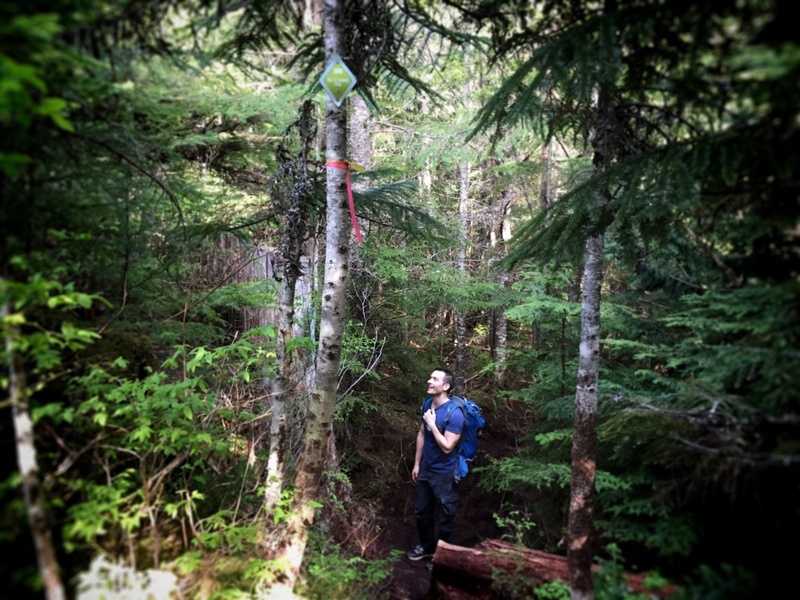 In fact, we weren’t sure we were going the right way since there hadn’t been any green diamonds for awhile! But then we saw this! 1/4 of the way there! 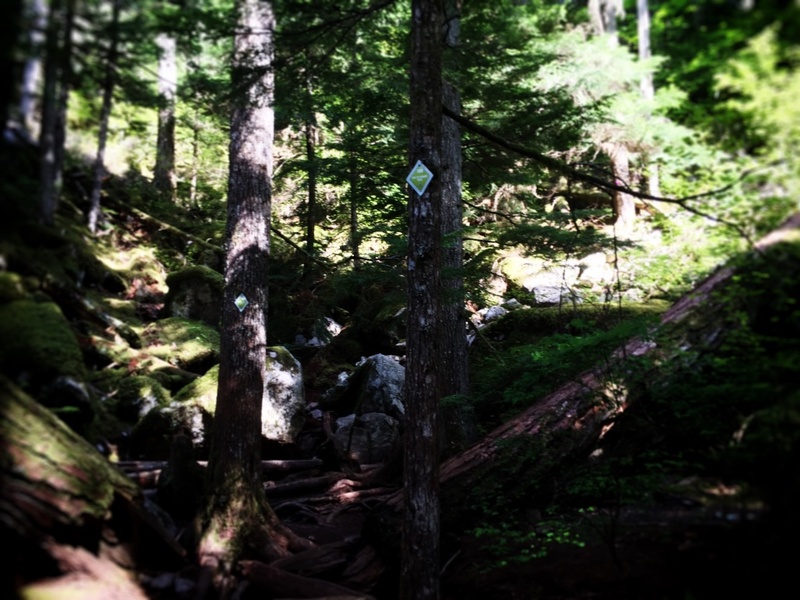 I like knowing how far I’ve come, like in the Grouse Grind. 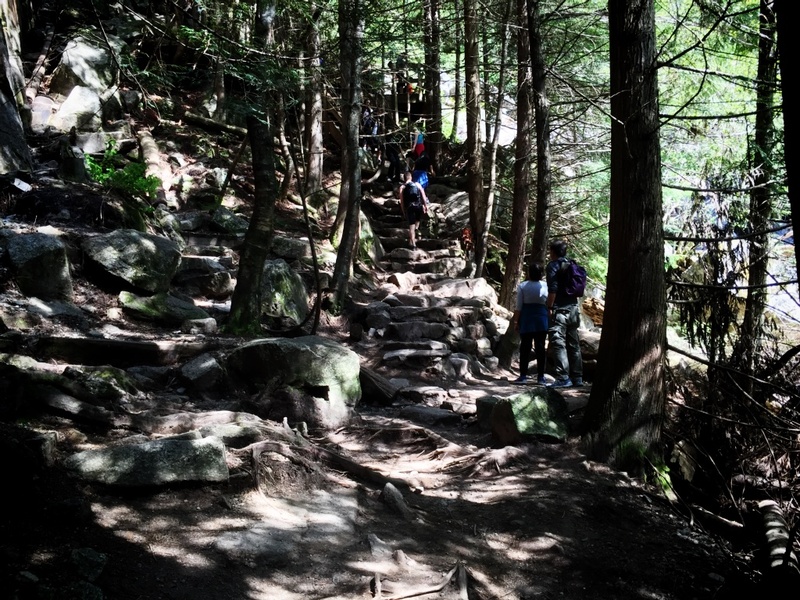 Unlike the Grouse Grind (what I call nature’s stairway to hell!! ), there’s a lot of uphill along with downhill. And there are many scenic break points. It was amazing to see the variance in scenery, topography and microclimate. 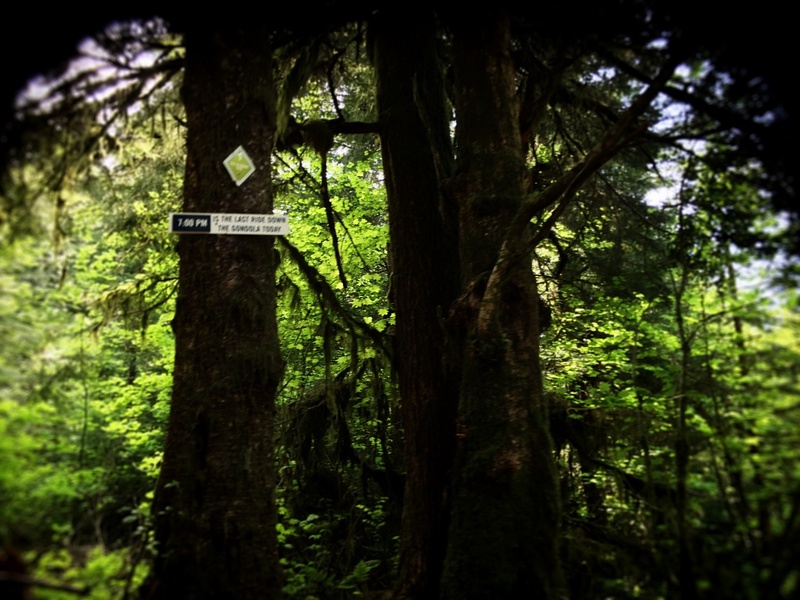 Some areas would be incredibly lush and green, and later we would walk along some narrow white trees. 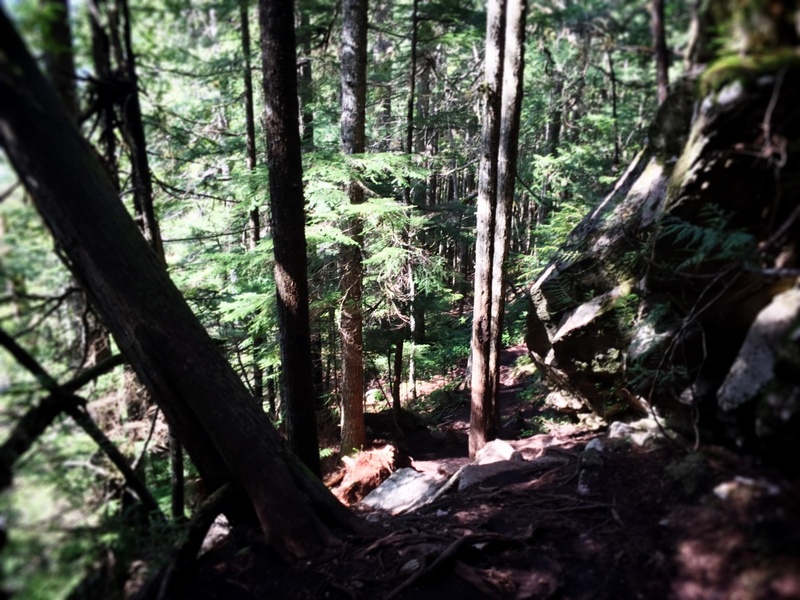 The trail was so much fun to hike along and the landscape kept changing the whole way up. 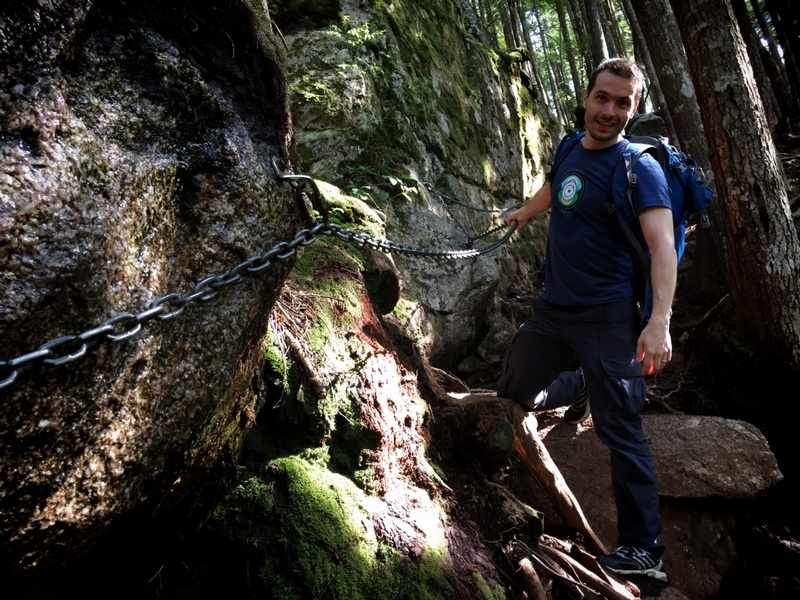 Some parts were pretty steep so chains were made available to hold onto. 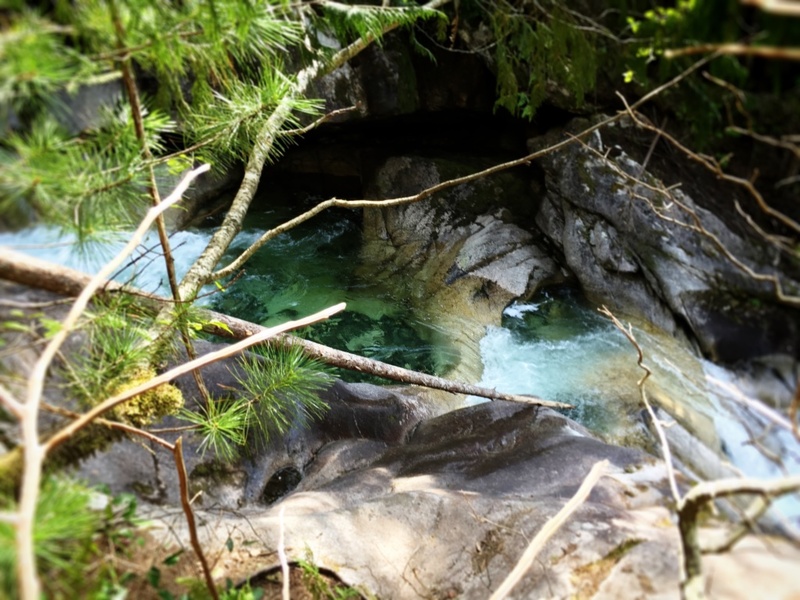 The water looked so refreshing and was such a vibrant emerald colour. 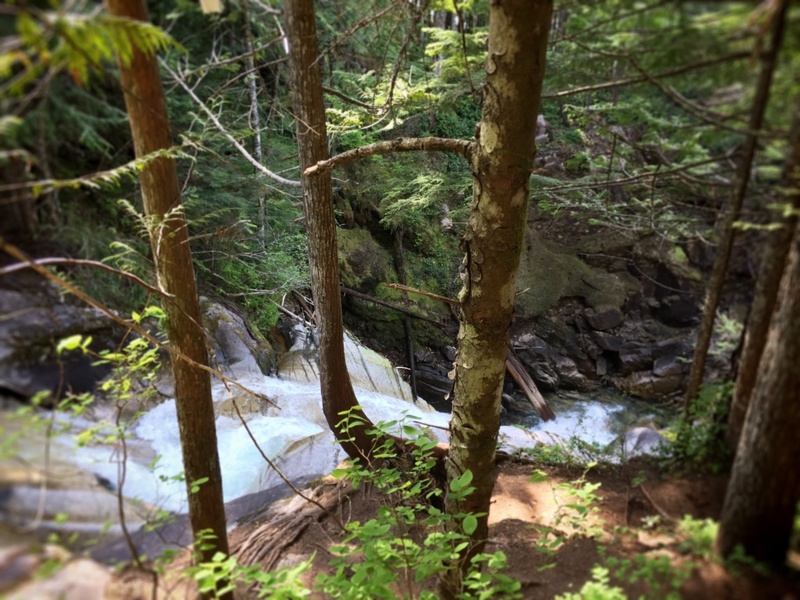 It was nice to take a short break at the falls and capture these photos, but with my mom waiting at the top, we had to keep up the pace! 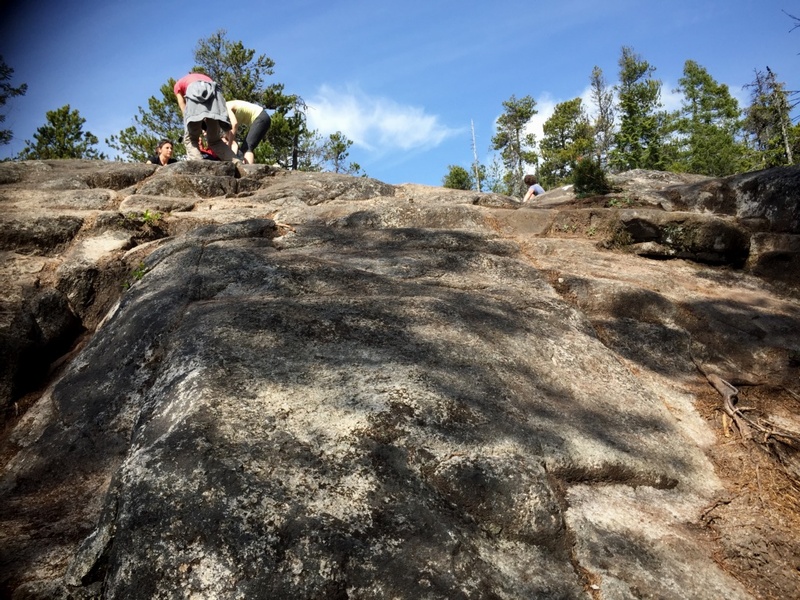 Soon after the falls, we climbed up these ropes and arrived at a large rock clearing  - similar to the Chief! The marker reads 250! Just over half-way there. Then we emerged from the bush to this wide path with really interesting white trees. 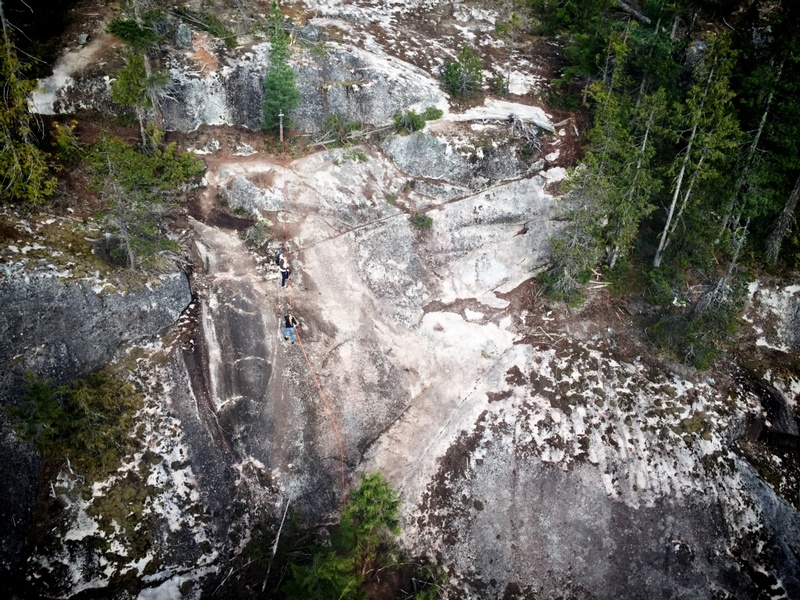 Around the 330 mark, you get an option to take an “easy, but long route to the top” or a “difficult, more technical route” to the left called Wrinkle Rock. We went for the difficult option! 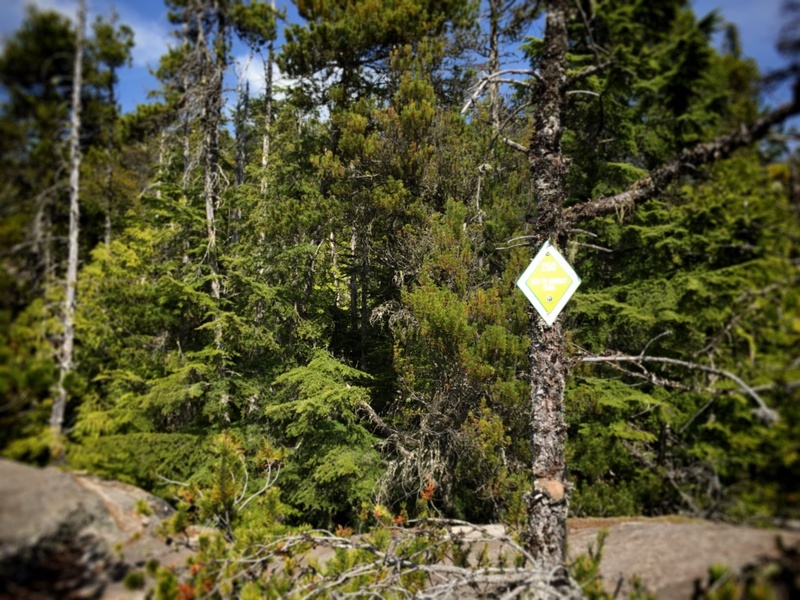 Up until now, the trail had been very well marked but we missed something and weren’t quite sure where to go at one point. 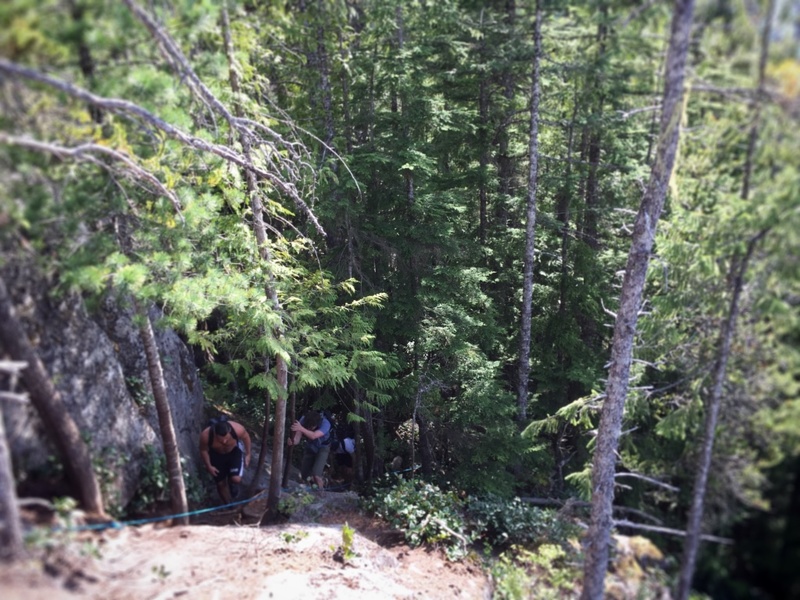 Luckily, we saw these hikers above and made our way up to them! Turns out, I knew the guy from work! 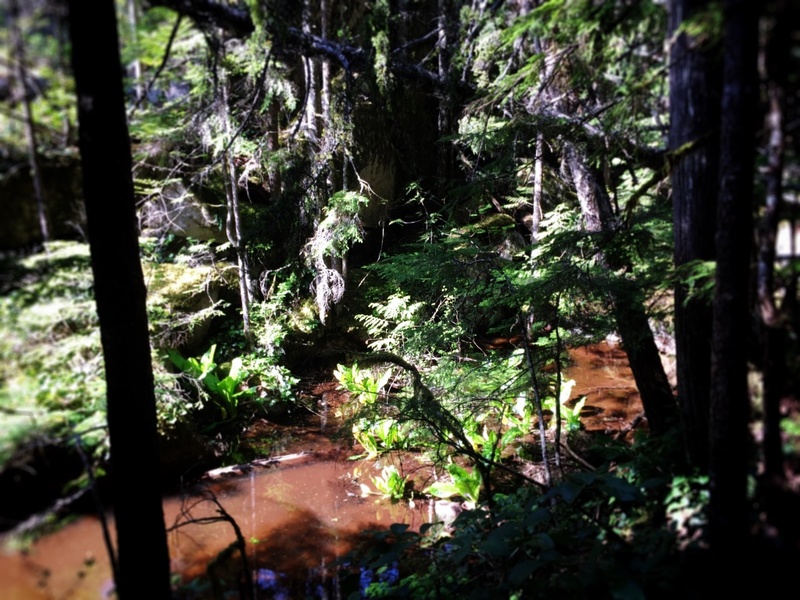 Which was especially fortuitous because on this “intermediate/advanced 3-5 hour hike” I forgot to bring water!! Another reason why we had our heads down and were charging through to the end. 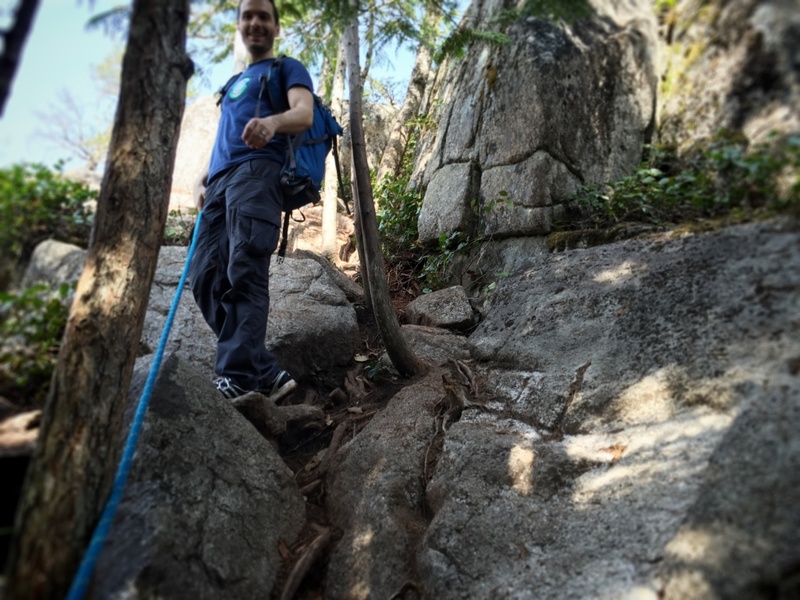 This part of the hike requires you to hold on to some rope to help you make the climb. 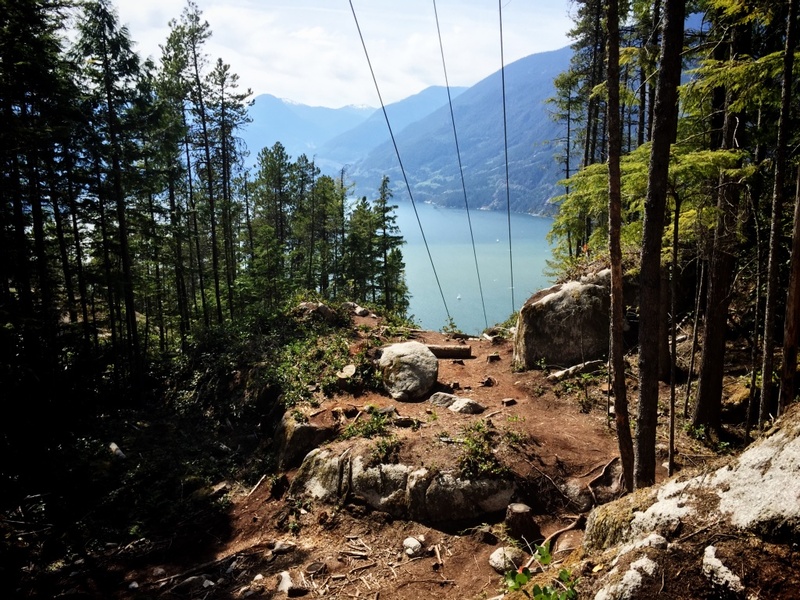 This is what that particular section looks like, when you’re looking down from the gondola! Can you make out the people? Beautiful vistas at the top! The snow-capped mountain is called Sky Pilot. Happy Mother’s Day! 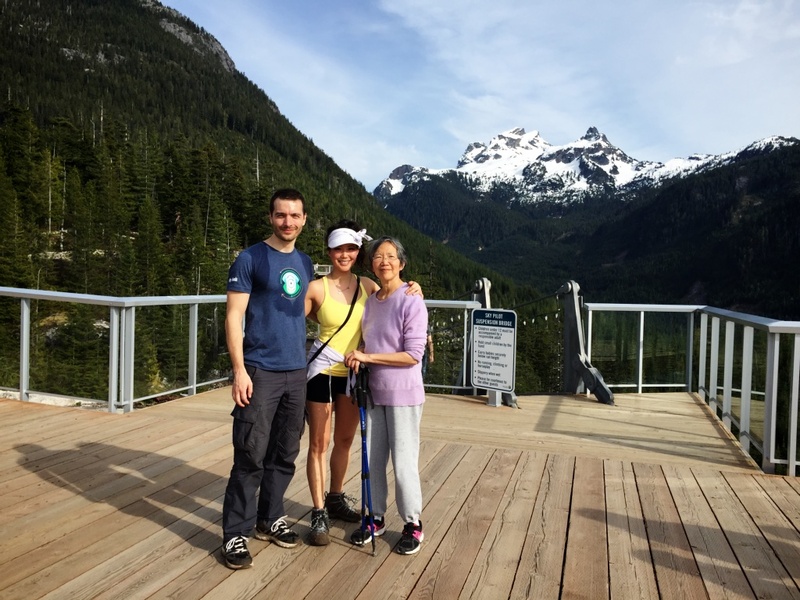 Edit: Sept 2015, we took both our moms here! Time to just sit back and enjoy this amazing patio! 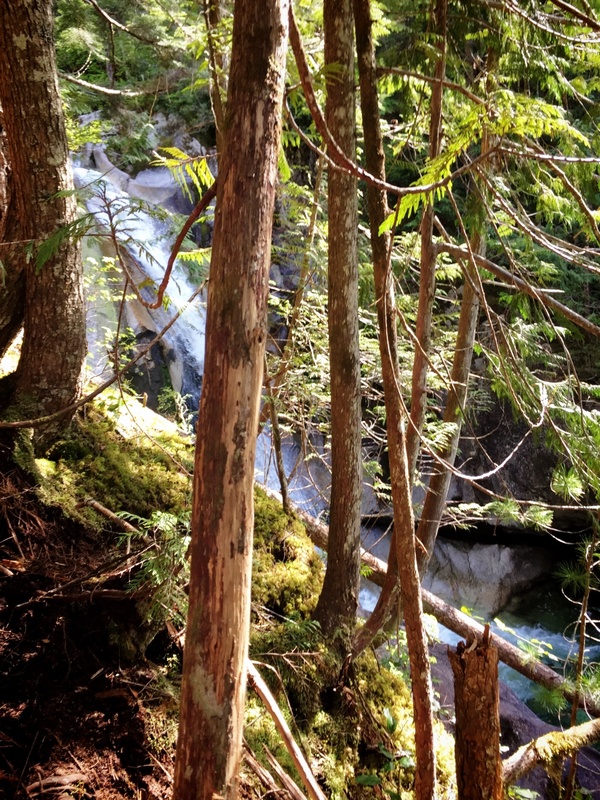 For many years, Garibaldi Lake has been my favourite hike and I visit annually. The stunning alpine lake still makes it my favourite BC hike, but I have to admit, this is a solid second place! 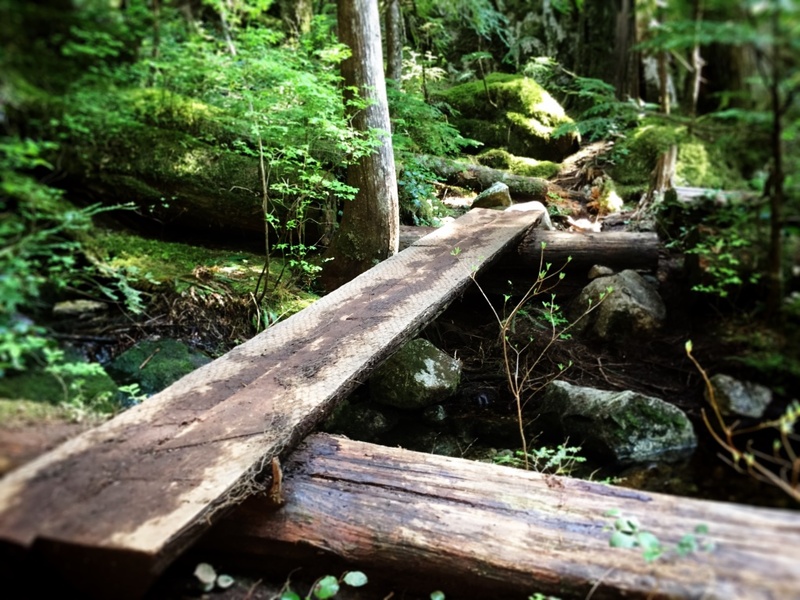 The variation in the terrain made this hike incredibly fun and challenging at the same time. 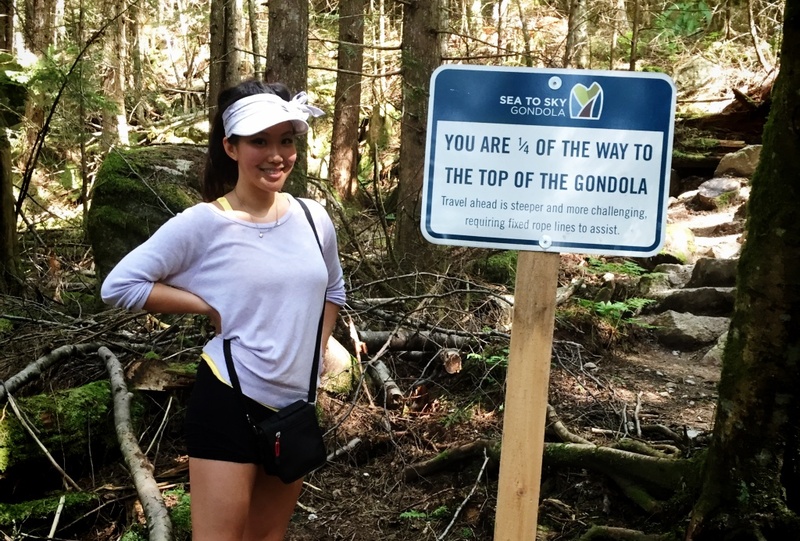 Add to the fact that I like a challenge, and my Grouse Grind pass is going to expire, maybe I’ll make it a point to try and improve my time here 😉 Although, the rest spots are VERY spectacular and it would be worth it to this hike again WITH water and with a few extra breaks. 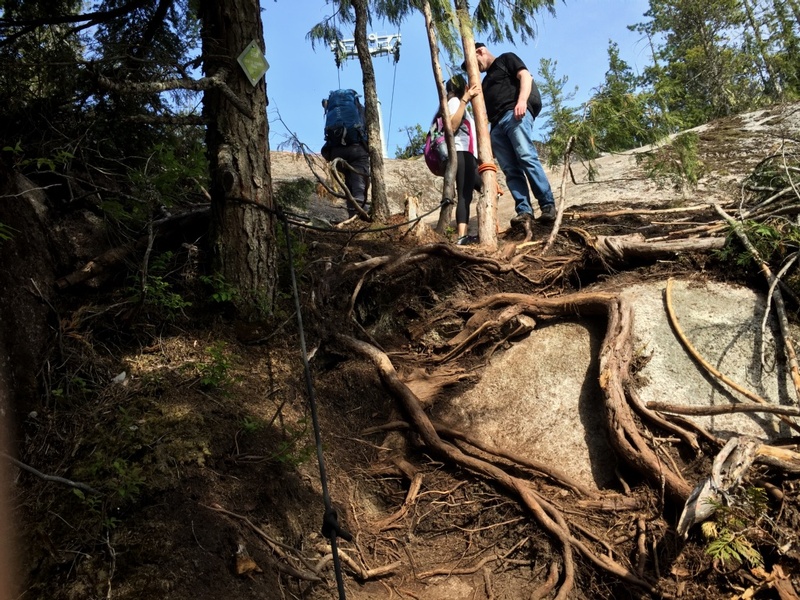 My mom was asking people at the top how long this hike would take to complete, and was getting worried when she heard them say 4+ hours. We really didn’t want her to wait too long and so, made it up in 2:30. Maybe less because at one point we lost my brother and had to go find him! Turns out he wasn’t feeling awesome and eventually we sent him back to the start where he could wait for us until he felt better! Has anyone else done this and has some thoughts to share?